You can pick the protein, switch the sides, and even swap the sauce—but when it comes to being a barbecue pitmaster there are three ingredients that you just can’t do without: Meat. Smoke. And, most importantly, time. Barbecue is a pillar of American cookery, steeped in rich tradition and regional variety. And when it comes to celebrating America’s best barbecue, not just any ol’ cookbook will do. 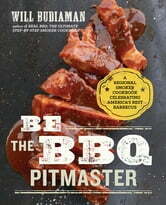 Be the BBQ Pitmaster is your start-to-finish roadmap through it all so you can smoke your way from Kansas City’s Brisket to the Smoked Pork Shoulder of the Carolinas. Prep time, cook time, serving size…a true barbecue pitmaster leaves nothing to chance. 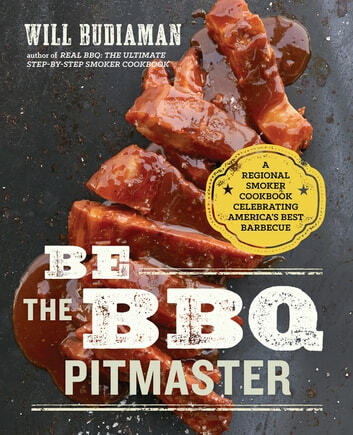 Each recipe in Be the BBQ Pitmaster cookbook provides a complete breakdown of everything you need to know for staying cool while you bring the heat.